There’s nothing quite like a wine-country getaway to recharge your spirit and refresh your perspective. 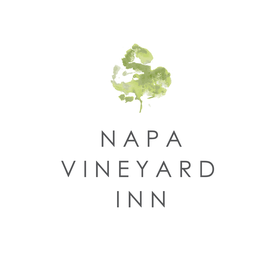 Napa Vineyard Inn is a hidden gem nestled between scenic vineyards in the heart of Napa Valley. Located minutes from Yountville and countless fine-dining and wine tasting options, the property offers luxury accommodations in one and two bedroom options. Thoughtful amenities include daily continental breakfast from Bouchon Bakery, Nespresso coffee, L'Occitane toiletries, fireplaces, soaking tubs, robes & slippers. Private terraces are available for Deluxe and Premiere rooms and all guests enjoy the barn lounge and beautifully landscaped courtyard. Two night stays are required for most weekends. 57 Likes, 2 Comments - Napa Vineyard Inn (@napavineyardinn) on Instagram: ""The lovely view from our balcony this morning 😍" - caption & 📷: @ash_makesit_raines..."